In the shape of Mince and Oaks talking horse Liber Nauticus there are some hot favourites out on the first day of York’s Dante meeting, but there’s plenty of value out there for each way thieves in Channel 4’s televised races. Jonjo O’Neill’s gelding rates an interesting runner, having gone down by less than a length to course specialist Crackentorp in a 1m4f handicap on the Knavesmire last term whilst in the care of Michael Bell. 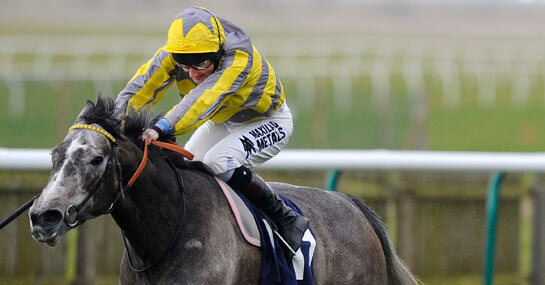 He’s been competitive over hurdles since making the move to Jackdaws Castle, with four top three finishes in five runs. His Flat mark has been eased 3lbs since that York bronze medal and the booking of Ryan Moore suggests a big run is in the offing. Few if any jockeys ride the Knavesmire better than Moore, whose 22 winners from 110 rides here in the last five years have come at a superior strike rate to any of his weighing room foes here. Nocturn should be hard to peg back on his return to a left handed track, having won at Windsor despite a serious leftward leaning last time, however it’s Richard Fahey’s El Viento who is the selection at the track where he won his maiden over 1f less in 2010. Placed off 90 and 91 in two runs this term, his recent two-length second to Heerat has been paid a handsome compliment since, with that one finishing a close fourth behind Group 1 winners Sole Power, Kingsgate Native and Tangerine Trees last time and now rated 108. Jockey George Chaloner claims 5lbs, leaving him back on his last winning mark. Liber Nauticus’ lofty position in the ante-post Oaks market – 20 points shorter than Woodland Aria, the next best fancied of these runners – suggests she should take this comfortably, but there’s little joy in punting her at 8/11. John Gosden won this for the second year running last term with subsequent Oaks third The Fugue and his Woodland Aria is open to significant improvement in just her second run, having seen the form of her debut win franked when the second was fourth in the Cheshire Oaks. Amongst her rivals, likely favourite Mince – who comes into the race on a five-timer – has the potential to be a superstar, but preference is for the race-fresh Tickled Pink, with the Mince yet to have a race this term. The latter had four of her rivals (including last year’s winner Tiddliwinks) behind her when taking a massive step forward to win a Newmarket Group 3 last time. This Group 2 heat rates a tougher proposition, but her recent victory was a commanding one and with this being only her sixth career race there should be more to come.